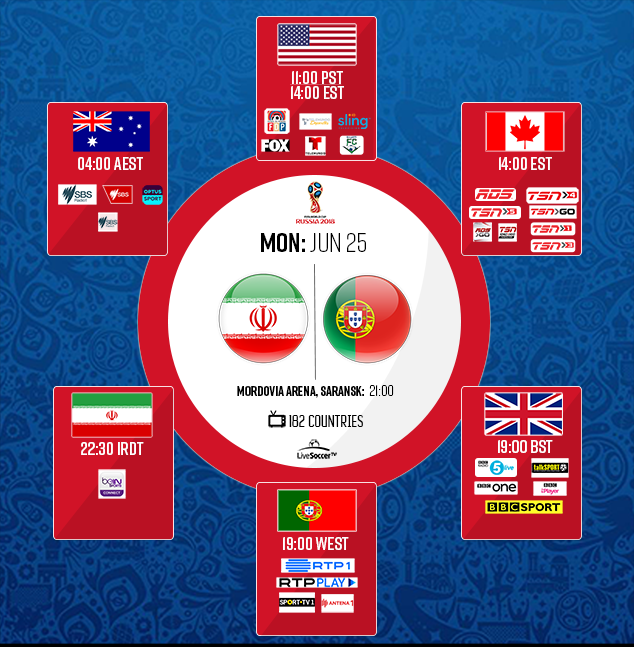 Here is a comprehensive compilation of TV schedules and listings for final Group B game between Iran and Portugal. Iran and Portugal will feature in a crunch Group B encounter as they both aim to secure a spot in the knock out phase. Just by the sheer presence of Cristiano Ronaldo in their ranks, Portugal enters Monday clash as favorites. The 33-year-old Seleccao skipper has been in scintillating form for his country and has scored all their four goals at the competition so far. He will, as a result, aim to continue his dream campaign and will especially hope to claim back the top spot on Russia 2018's goalscorers' chart. The Madeira-born forward was demoted to second place following Harry Kane's hat-trick in England's six-goal haul vs Panama. As such, he will be required to do more coming up against a motivated Iranian side. Despite failing to get the result, Team Melli staged a strong performance in their second group game against Spain on Wednesday. Their hard work nearly yielded a good fruit but for the bizarre goal which was attributed to Diego Costa. Although they often showed signs of character and promise, Carlos Queiroz's men failed to get a single shot on target. 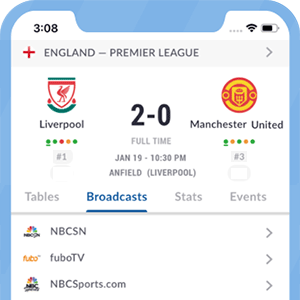 As such, they will be required to be more clinical in front of goal if they indeed fancy the idea of getting the win against their manager's former side. Anything but a win will bring their campaign at Russia to an end as Spain – who currently has four points – is expected to cruise past Morocco in the other encounter.